My childhood in Baghdad and Abu Dhabi consisted of climbing orange trees, hopscotch with my brother, sticky ice cream on hot summer days, and a rich collection of stories. In my family, there were stories for everything: stories about who we were and what our family history was, stories about mystic legends and historical figures, and lots of poetry that lifted me up and painted the world for my young imagination. And they never felt separate from reality, if anything, they helped me make sense of it. But the day I got my period, suddenly, it got quiet. There were no tales to help me make sense of what was happening to my body. 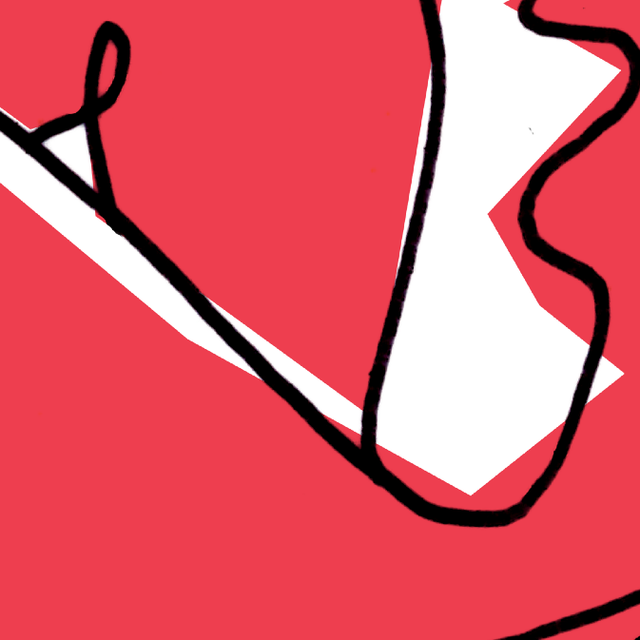 There was, however, plenty of awkwardness—a few tense gestures, a tip here or there. Underlying shame is all I felt for the most natural of bodily evolutions—puberty. I internalized the shame, and I moved on. This is my story, but it’s also that of millions of girls around the world, Arab or not. Human bodies, particularly female bodies, going through puberty, are talked about in hushed voices. We whisper about “it,” we don’t mention “it” to our male friends and colleagues, and we deal with all of “it” in little private bubbles. 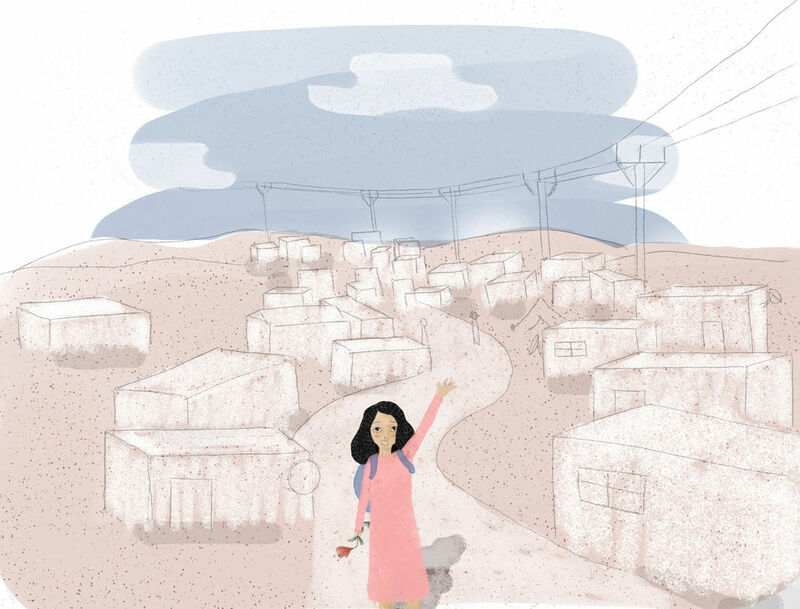 So, when IDEO.org and Mercy Corps embarked on a project in the Za’atari Refugee Camp in Jordan to help girls there learn about puberty in a comfortable way, I felt a deep personal sense of connection and responsibility to this work. The goal was to create a curriculum for the program that 15-to-17-year-old girls could teach to 9-to-11-year-olds. Having the program be girl-led would help the younger girls form trusting peer relationships and help the older girls build valuable leadership skills. But this goal also presented a challenge: we needed to make sure the older girls could deliver accurate information about complex topics like physical health and emotional wellbeing—topics they knew little about given the hushed nature of the culture. More importantly, much of the information circling around was based on myths and old-wives tales. For us, misinformation was worse than no information at all. 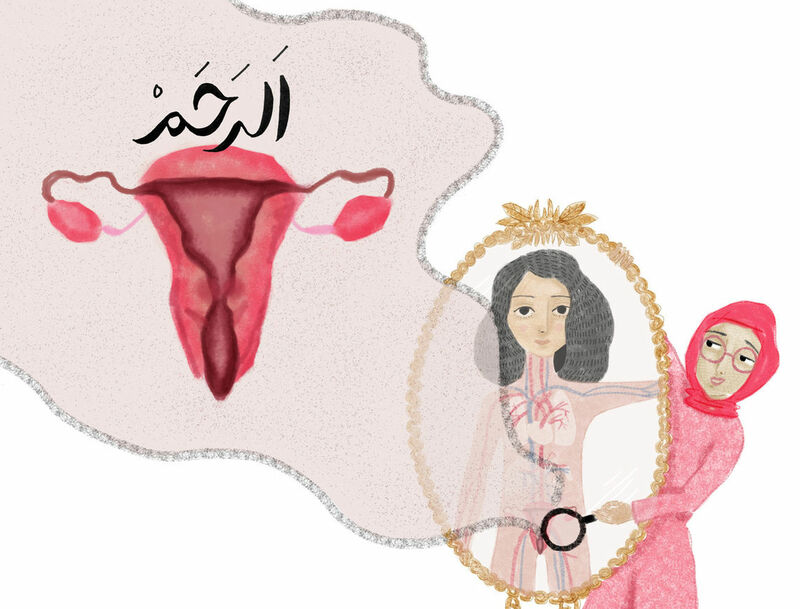 After pouring over existing literature in Arabic, we couldn’t find any child-friendly materials that spoke to the changes in female bodies; what periods are; what social puberty feels like; and why we feel like crying, laughing, and screaming all at the same time. 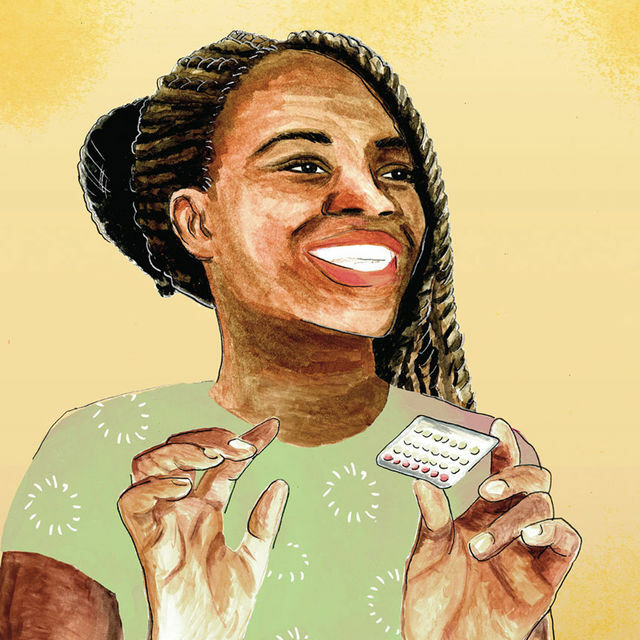 In an attempt to tackle it all at once, we drafted a giant document that dealt with puberty from scientific, religious, cultural, practical, and emotional perspectives. Upon reading that first draft, our colleague Ben, a writer and father of two young girls, suggested we look to some unconventional inspiration. He suggested we all read (or re-read) the first chapter of Harry Potter. “It explains a complex world in a language that a nine year old can grasp,” he said. I had never read Harry Potter (I know, I know), but after devouring the first chapter, I have to admit that Ben was right...it was engaging and magical—yet realistic. Harry’s world reminded me of the Magic School Bus cartoons, which I watched (dubbed in Arabic) growing up. I remembered this one episode where one of the kids gets sick, and the bus travels inside his body. If I know anything about red and white blood cells, it’s not because of any biology class I ever took, it’s thanks to Miss Frizzle. The Magic School Bus portrayed our bodies as magical places that were worth exploring. That’s the power of great storytelling—it can demystify, yet enchant. It can take serious topics and wrap them in wonder. And all of a sudden, it was like my team and I had my favorite childhood poet whispering into one ear and Miss Frizzle into the other. Inspiration befell our entire team. We spent the next hour transforming our dry curriculum into a magical and wondrous world. 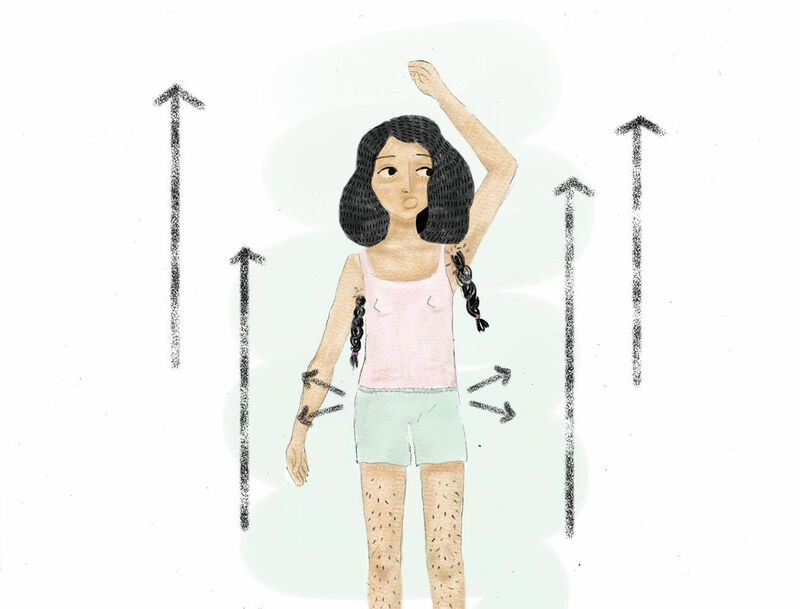 What if our young girls in Za’atari could follow a character through the magical (and sometimes icky) journey of puberty? How could we shift taboo narratives into ones of safety and normalcy? What would it look like for our character to understand the emotional roller-coaster of puberty? 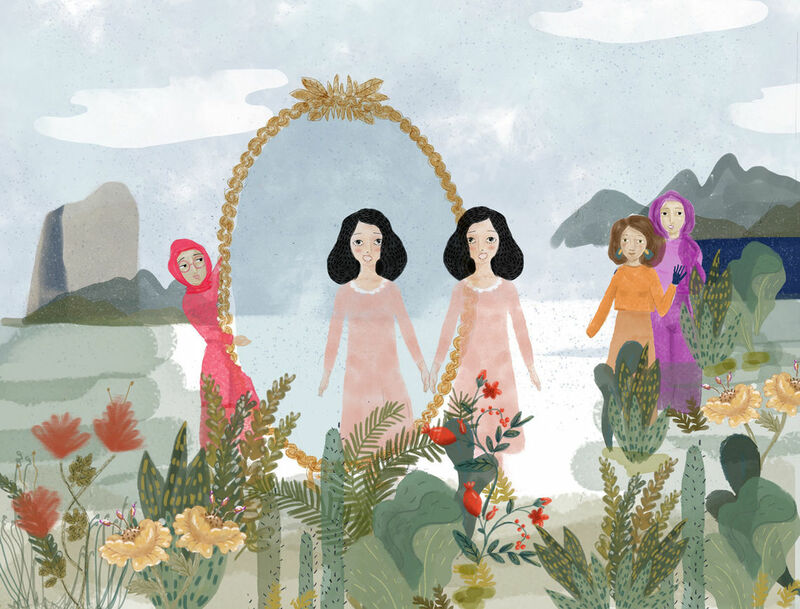 From this moment of inspiration, Zahra was born—a young female protagonist inspired by the girls we met in Za’atari and our own childhood experiences. We wrote and illustrated her story and took it back to Jordan for the girls to try out. 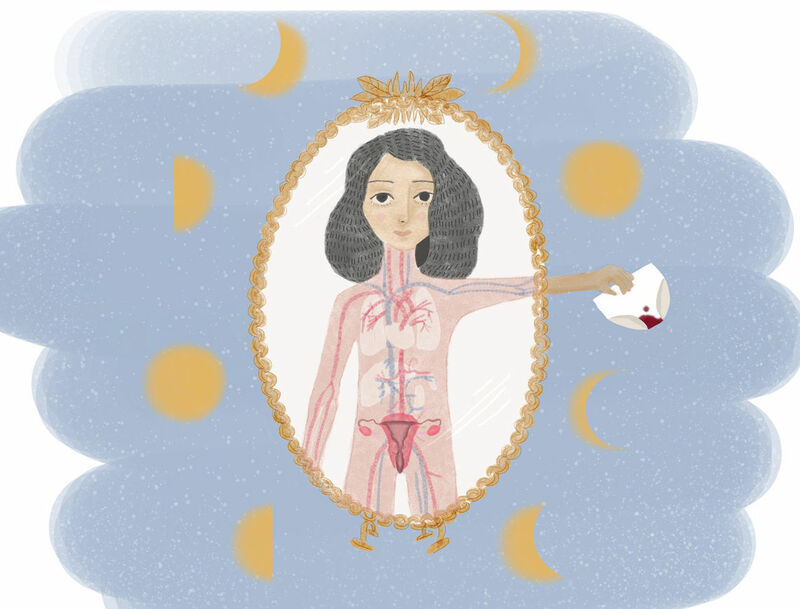 Zahra is an 11-year-old girl who wakes up to blood in her underwear. Alarmed, she goes back into her bed to think about what to do next and falls into deep sleep. 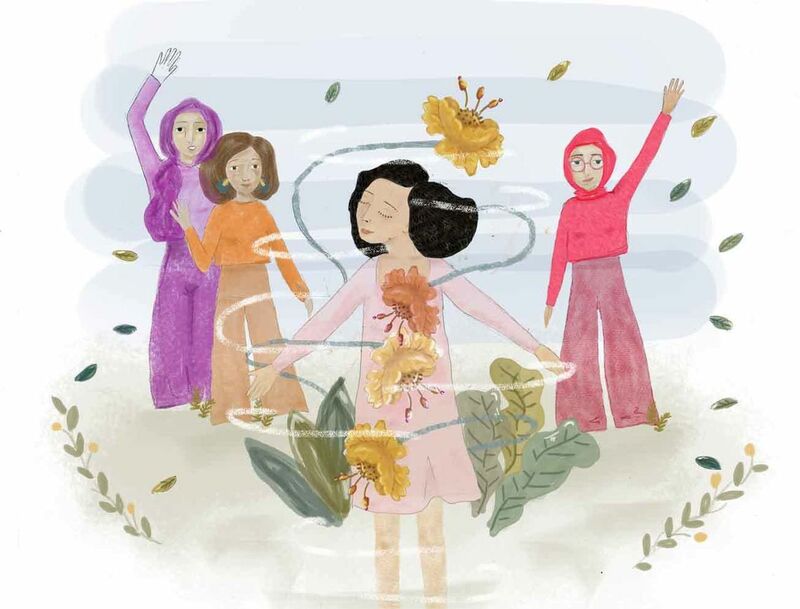 In her sleep, she embarks on a magical journey to the Island of Flowers where she meets three characters: Miss Faheema (who is all about the science of the human body), Miss Hanan (the guru of feelings and emotions), and Miss Nasooha (a lady with all the practical advice). Through their travels on the island, Zahra learns to cope with the awkward, new, and fascinating changes her body is and will be undergoing; all with a nice serving of humor and a big dose of curiosity. 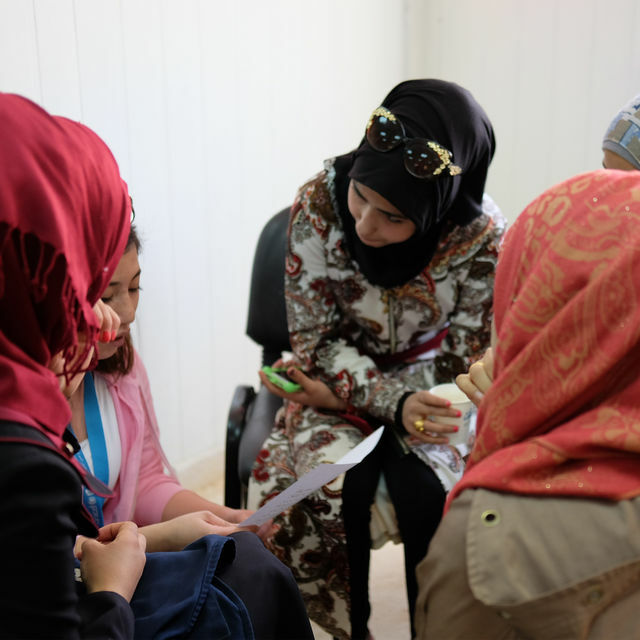 After a few revisions, Zahra’s story was ready to be released into the world as part of a broader program we designed with Mercy Corps to support young women in Za’atari. We hope these illustrations and characters can change the mythology around puberty in the camps to one that is more colorful, enchanting, and true. I know I would have loved to have Zahra around when I was as younger. I hope the next generation of younger girls feel the same. This project was part of Amplify, a new model for international development created in partnership with the UK Department for International Development. Amplify's eight challenge focused on providing comprehensive sexual and reproductive health services to girls and women affected by conflict or disaster. Special thanks to Ademide Adefarasin and Mollie West Duffy, my teammates on this project, Ben Swire and Shauna Carey for their guidance, and to our partners at Mercy Corps Jordan.